Thank You Donors For The Assorted Bedding! 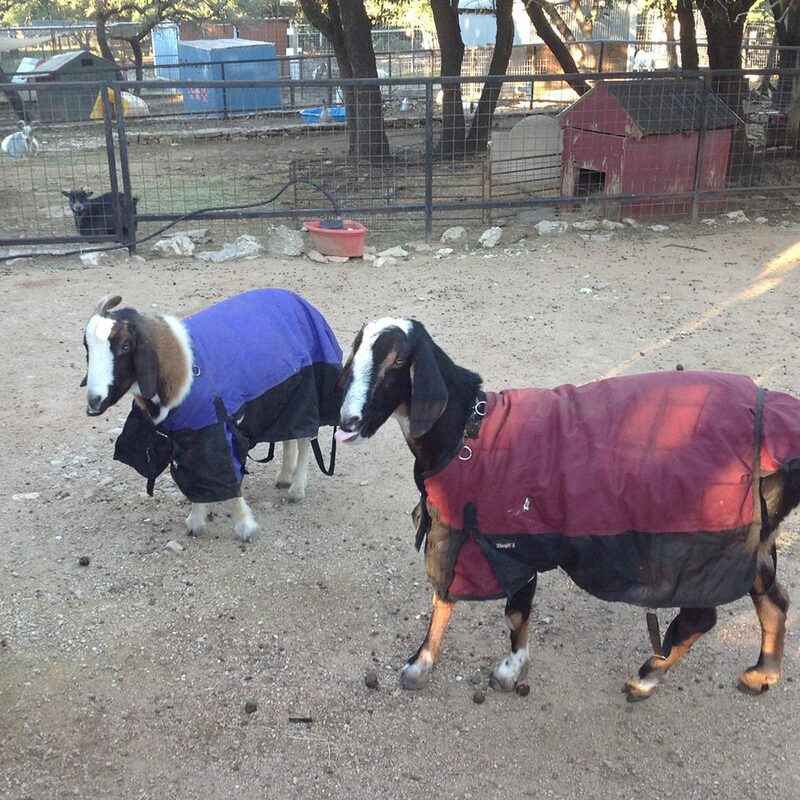 Boer Goat Tiny Tim and Nubian Goat Blackie keep warm in their winter coats. Thanks to everyone who brought us blankets, sheets and towels for our animals over the weekend! We appreciate you!